I remember Salisbury steak as a tough piece of meat that was over cooked and you needed the gravy to mask the bland flavor of the dish. This Salisbury steak dish has been revamped from the dish of the past into something that just melts in your mouth. It’s ideal when the weather turns colder served on a bed of creamy mashed potatoes. I remember finding a similar recipe in a Cuisine at Home magazine years ago and I have adapted it slightly. The recipe calls for ground beef patties simmered in a rich onion gravy. I turned the patties into meatballs because they are the perfect bite sized morsels. After having made this multiple times I do recommend a few tips so the dish turns out perfect every time. Use ground round or chuck for the best flavor. Sear the meatballs then finish cooking them by simmering in the gravy. Be sure to use sweet Vidalia onions. Don’t over cook the beef. Nothing ruins this dish more than having them cook too long. Remove them when they’re done. Enjoy a glass of wine while cooking since you have the bottle 🍷 open anyway. This Salisbury steak recipe is also great to serve a small dinner party. A little prep work ahead of time and you can enjoy time with your guests. Simply prep this recipe through the simmer stage and set aside. 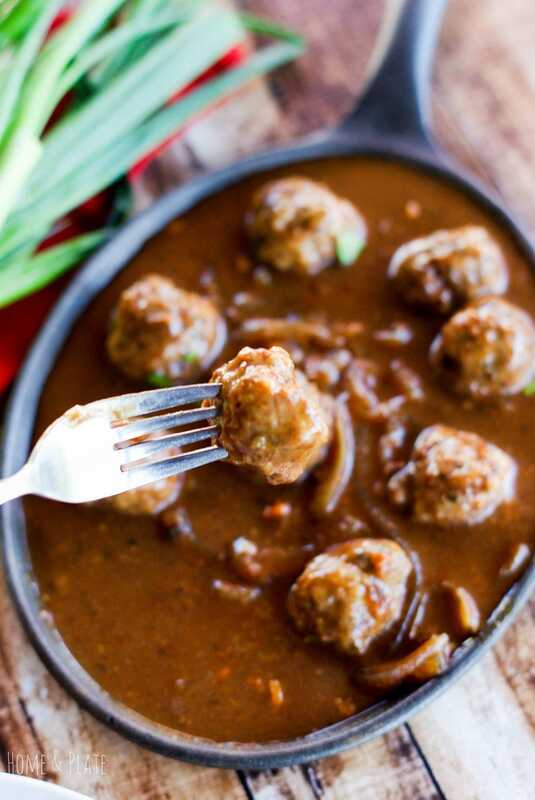 When you’re ready to eat, return the meatballs to the pan and finish simmering before serving. 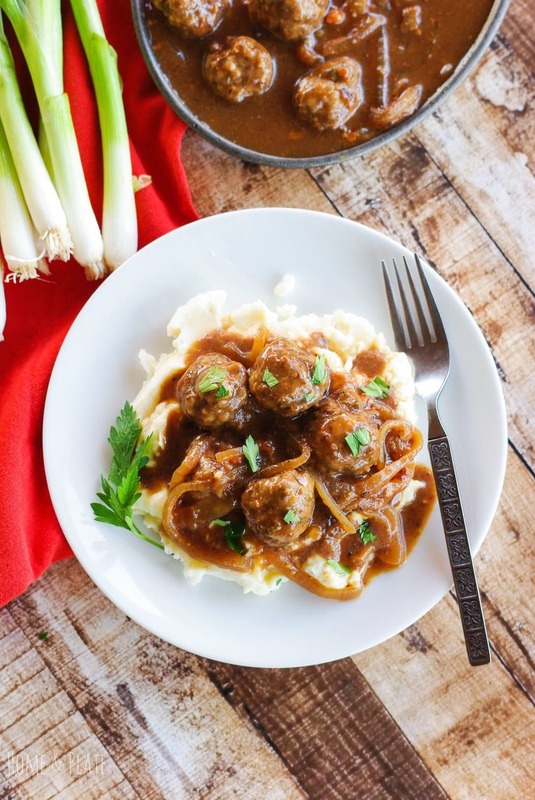 Serve the Salisbury meatballs on top of mashed potatoes. Luckily this recipe makes plenty of gravy for the mashed potatoes. Make the mashers yourself or cheat – Bob Evans makes delicious pre-made mashed potatoes that you can find in the refrigerated section of your grocery store. Combine chuck, parsley, scallion, salt, and pepper. Divide evenly into ping-pong sized meatballs or portion and shape into 3/4 to 1-inch thick oval patties. Place 2 tablespoons of flour in a shallow dish; dredge the meatballs or patties in flour. 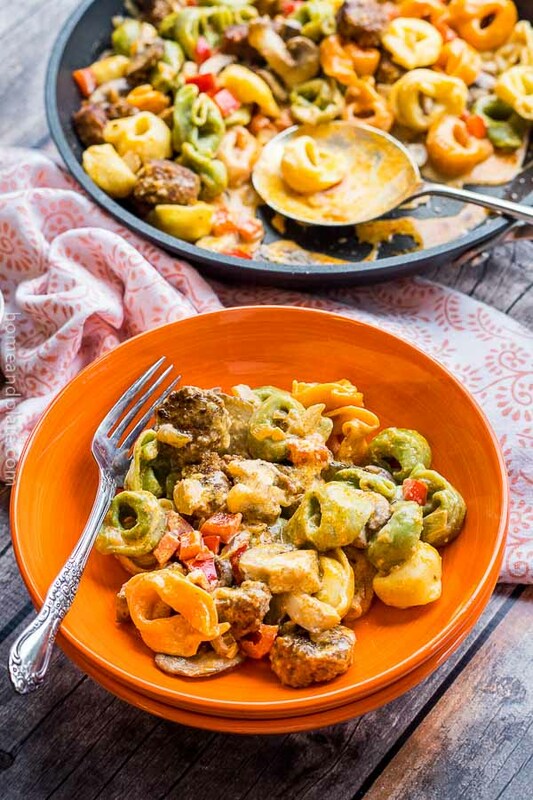 Reserve 1 teaspoon flour.Heat 1 tablespoon oil in a sauté pan over medium-high heat. Add meatballs and sear 3 minutes, turning often until browned. Remove from pan. Add onions and sugar to pan; sauté 5 minutes. Stir in garlic and tomato paste; sauté 1 minute, or until paste begins to brown. Sprinkle onions with reserved flour; cook 1 minute. Stir in broth and wine, and then add the salt and thyme.Return meatballs to the pan and bring the gravy to a boil. Reduce heat to medium-low, cover and simmer 8-10 minutes. This looks like winter comfort food at its finest! I am going to have to try these for sure. What a clever transformation of a tougher cut. Comfort food at it’s best. Thanks Lucy. No tough meat needed with this meatball recipe. Ground beef works great. This sounds so good! 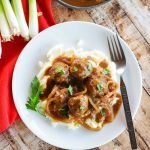 I love french onion and cant wait to try this gravy! YUM! The gravy is perfect on the mashed potatoes too. Thanks so much. I hope you enjoy. I can taste that delicious sauce with those meatballs over mashed potatoes or noodles. Right! Yes the sauce is delicious over potatoes or noodles. 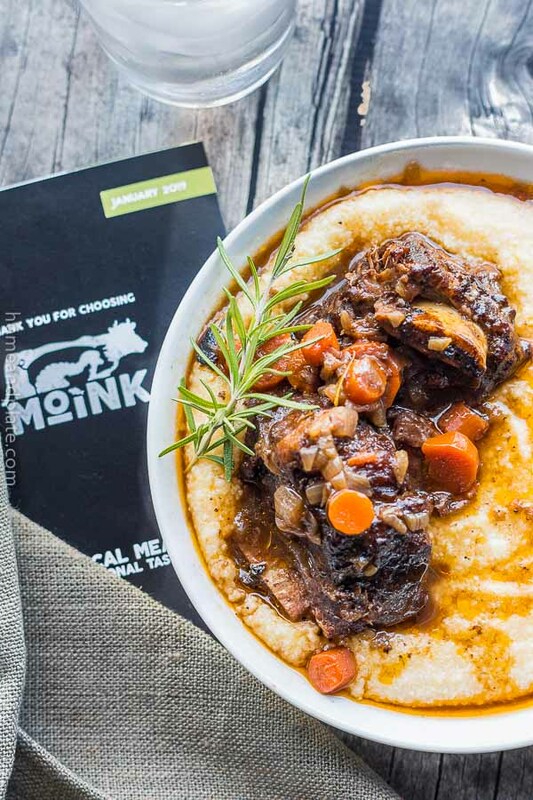 It’s winter’s comfort food at its finest. Hope you enjoy. Genius. 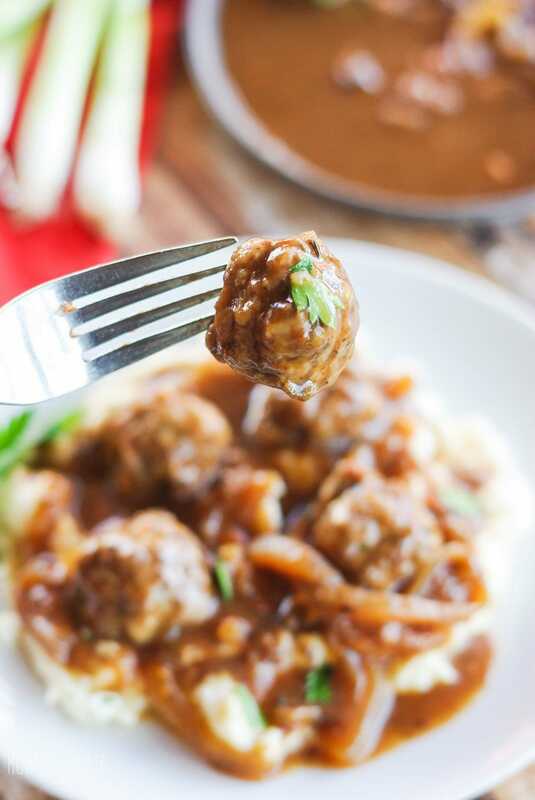 Love me some meatballs and love me some salisbury steak– the best of both worlds in one bite!! Cannot wait to make these! You bet Karly. Its definitely the best of both world in one bite. Thanks so much. 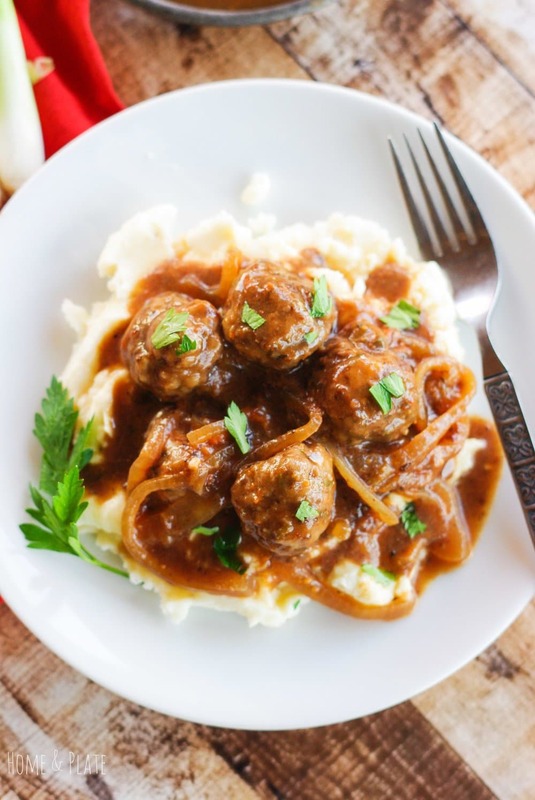 Love meatballs and these look really juicy and delicious!